We've posted some of his amazing work before when he did this to "Blade Runner" and other classic science fiction. 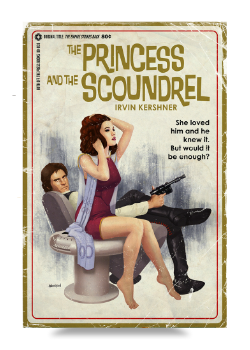 Now, he's taken the Star Wars trilogy and made prints of it that look like old pulp covers as well. Take a look at his site where he has prints for sale. I can't wait to see what he does next.